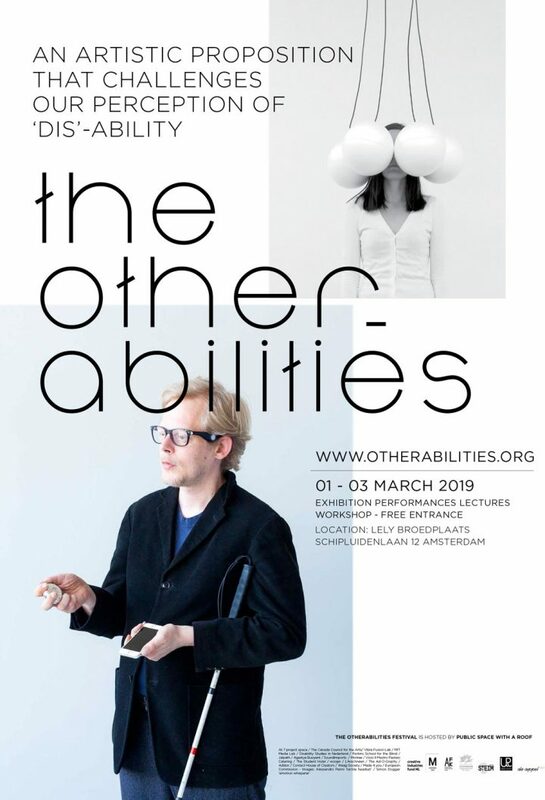 The OtherAbilities is a three-day festival including an exhibition, performances, talks and a workshop that brings together artists and scientists who create objects and situations enabling all people to participate, disregarding their physical abilities. With this festival we want to signal the possibility for a paradigm shift from disability to otherability. By merging art and technology we are exploring ways of creating cultural events and artifacts from which no body is excluded. MAZE will perform Claudio F Baroni’s piece KARADA, that accompanies the vibrating objects of The Body Imitate the Landscape, an installation devised by artist Adi Hollander. Inspired by Michitaro Tada’s book Karada (‘the body’ in Japanese), this sound installation translates the textual experience of reading the book into a sensory one. In the book, Tada presents his years-long study of the “school of the body”, while his writing about the human body actually talks about culture, memory, science, expression, and reality. The main idea that inspired Hollander for the installation was Tada’s way of presenting the human body as an object among other objects, but also as a being that sees and touches other objects. Hollander’s installation consists of seventeen different ‘waterbead’ objects that can be used by the visitors, during the live performance. The objects transmit music in which tactile vibrations become a sound element, written by Baroni specially for this project and performed by MAZE. The visitors are invited to rest their body on the waterbeds that transform vibrations into a tactile sensation of the sound by a variety of tactile speakers (bass shakers, transducers, bone conductors). In this way, the visitors will feel the music while hearing it, listening not only through their ears, but using different body parts as well, participating in an intimate and private relationship with the object similar to the one between two people sharing a secret.